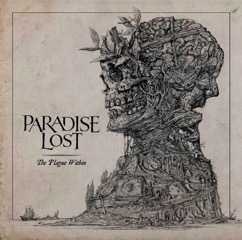 Returning with opus number fourteen “The Plague Within” (released June 1st, 2015), PARADISE LOST are once again refining the chemical equation to their sonic alchemy with the kind of creative invincibility few can afford. It’s a collection of songs that will surprise even the most seasoned of fans in its ambition: a monochrome miasma of morbidly uplifting anthems and heart-aching melancholia. In anticipation of this release, the band have revealed the new lyric video for the track “No Hope In Sight” which can be seen HERE.